The attorneys of Lanza & Lanza LLP provide clients in Flemington and throughout New Jersey with efficient, results-oriented representation in a wide range of legal practice areas. We use the skills and knowledge gained during our decades of practicing law to create individually tailored solutions that align with each of our clients' unique goals. In these and all other matters, our lawyers take the time to fully understand your situation, answer all of your questions, and give you the information you need to make an informed decision about what course of action you would like to pursue. 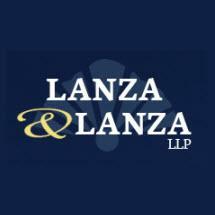 At all stages of your case, the dedicated advocates at Lanza & Lanza LLP will be by your side, providing trusted advice and doing everything possible to protect your interests.